Synchrotron light is recognized as an invaluable research tool by a broad spectrum of scientists, ranging from physicists to biologists and archaeologists. 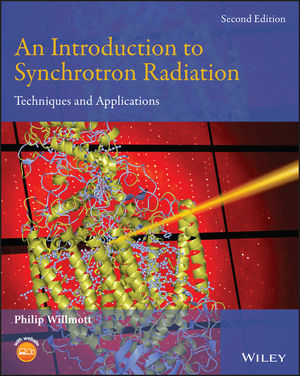 The comprehensively revised second edition ofAn Introduction to Synchrotron Radiation offers a guide to the basic concepts of the generation and manipulation of synchrotron light, its interaction with matter and the application of synchrotron light in X-ray scattering, spectroscopy, and imaging. A comprehensive set of problems for each chapter, plus their ideal solutions in the appendices. Philip Willmott is the Project Leader of the upgrade to DLSR status of the Swiss Light Source at the Paul Scherrer Institute. He has taught elective courses in surface science and laser physics, and presently regularly offers introductory courses in synchrotron science and techniques, including, most recently, an online Massive Open Online Course (MOOC) based on the contents of this text. He is a titular professor in the Physics Institute of Zurich University and a physicist with over 25 years' experience in diverse aspects of experimental physics and materials science.